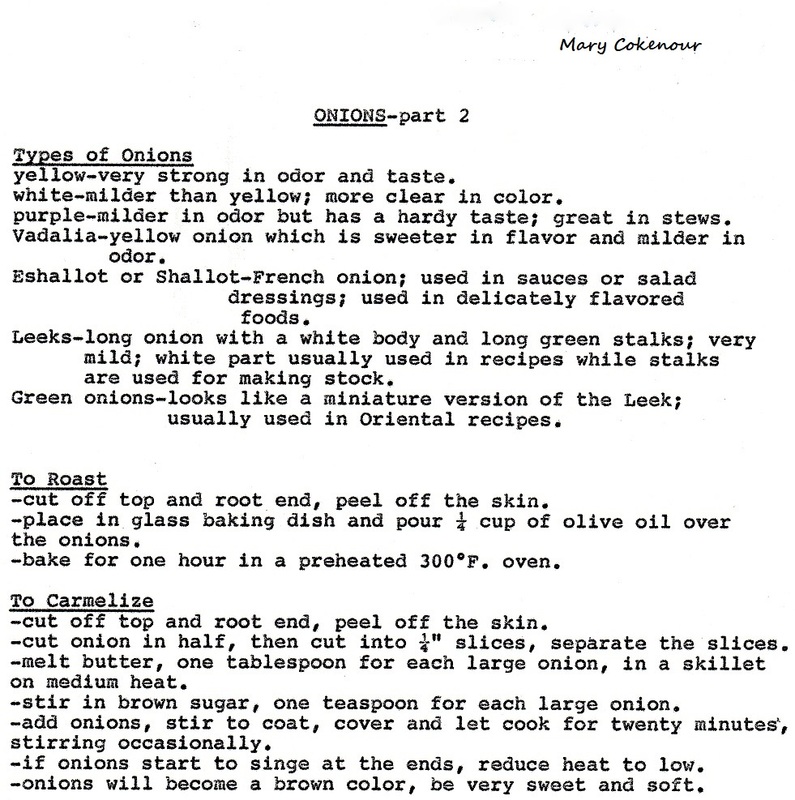 Food Adventures of a Comfort Cook: Ode to the Odiferous Onion. Ode to the Odiferous Onion. Memories of the meals we’ve made before. Misty, watering, burning eyes. While dicing onions from the store. If Barbra Streisand sees what I’ve done with her The Way We Were song lyrics, I am a dead woman. Whether a home cook or restaurant prep cook, we all know the pain of dicing and slicing onions. As a sharp knife begins the cutting process, the friction warms the onion, releasing its juice and sulfurous fumes. Even though the fumes can be stemmed off for a very short time, by getting the onions cold in the refrigerator, as they warm up, they fight back with a skunk’s vengeance. Alright kids, time for a little geeky science: Onions (Allium cepa) contain Amino acid sulfoxides that form sulfenic acids when the onion is cut into. These isolate enzymes are now free to mix with sulfenic acids to produce Syn-propanethial-S-oxide, a volatile sulfur compound gas. This gas reacts with the water in your tears to form sulfuric acid, and there’s the burn. Now for some nutritional facts to round out our education on the onion: 3.5 ounces of raw onion are 40 calories, 1.7 grams of fiber, contain Vitamins B6, B9, C and the mineral potassium. They are beneficial in blood sugar and pressure control, immunity boosting, cell growth and metabolism. The benefits far outweigh a bit of temporary irritation to the eyes. All onions are definitely not the same. While yellow are strong flavored, white are milder and clear in color; purple and Vidalia do not release strong fumes like the yellow variety and are milder in flavor as well. Shallots (eshallot) are a French variety mainly used in sauces or salad dressings; as with garlic, they can be roasted to a perfect candy-like sweetness. Leeks are long onions with a good portion of the body growing underground; perfect for soups or a side dish all their own. 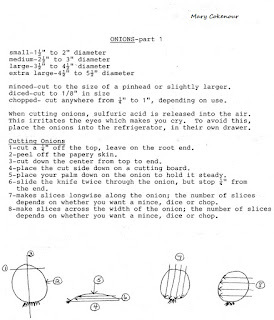 When I was teaching Adult-Ed cooking classes back east, I learned quickly that many of my students were clueless on onion cutting techniques. While I could write it all out here, this is one of those cooking lessons that is best done visually. Can’t do that in a written article though, so I’ve included photos of the lesson sheets I handed out to my class. While my diagrams are crudely drawn, they do the job of teaching and that is what matters most. This is also one of those, “Hey, this is how we made drawings before computers and Photoshop!” moments. So class, I’m going to give two homework assignments, the first is how to Caramelize Onions; the second is how to create Sweet Onion Relish. There will be a taste test and I expect you all to pass with deliciously flying colors! Caramelizing onions is simply giving long (one hour) cooked onions a deep brown color; and bringing out the sweetness of the onion itself. Using medium and low heat temperatures ensures that the onions will attain a brown coloring from the caramelizing of their natural sugar. 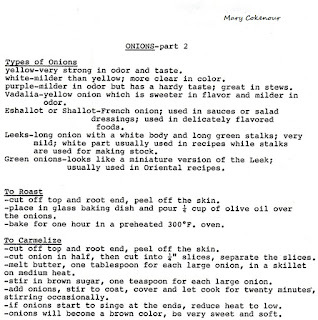 Higher heat temperatures will brown the onions, perhaps even burn them; however they may remain bitter from not releasing and utilizing the sugar. They can be used as an added ingredient (for example: quiche, frittata, macaroni and cheese) or accompaniment for meat, pork, poultry or seafood; and are the main ingredient for French Onion Soup. There is no one particular type of onion that should be used when caramelizing; white, yellow, red; even sweeter onions such as Vidalia and Spanish work just fine. Remember, we're letting the natural sugar of the onion do most of our work for us, so the sweeter the onion, the richer the caramelizing will be. Also, while I prefer simply to use olive oil for the initial cooking process, some like to use butter, or a combination of oil and butter. I don't personally like to add a dairy product into my caramelizing process; I don't believe it truly adds anything, but a greasy texture to it. I've seen some recipes add brown sugar; I'm not sure why since brown sugar is caramelized sugar, and that's what we're trying to achieve with the onion's own sugar. Confusing, isn't it? I do, however, add a little balsamic vinegar for an extra richness, and it enhances the aroma of the onions. Play around with the techniques and see what suits your tastes the best. Slice the top and root off the onions. Cut the onions in half from top to bottom; remove peels and discard. Place half of an onion, flat side down, on a clean, flat cutting surface. Angle the knife towards the center to make ¼ inch slices from stem to root end. 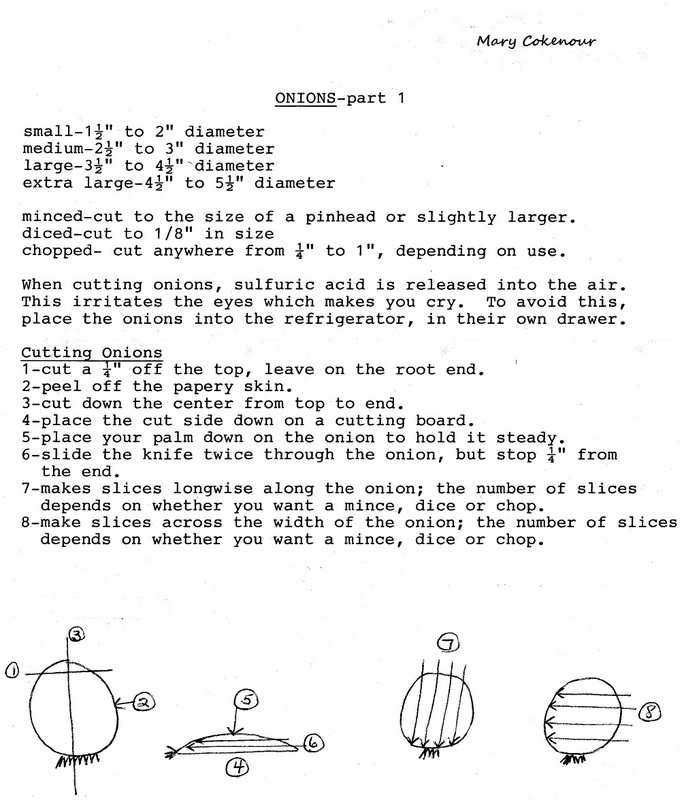 This method of slicing onions is called “Frenched onions”, French-cut, or Julienned. Heat oil on medium heat in a large skillet; spread onions in skillet and sprinkle salt over them. Cook the onions until soft and translucent (10 minutes); stirring occasionally. Reduce heat to low, cover and let cook for 40 minutes; stir after 20 minutes only. This will make the onions sweat, drawing out the natural sugars that will coat the onion pieces and cause them to turn brown as the sugar itself begins to cook. Do not keep removing the lid to check on the onions, or stir them; the heat will lower and you'll lose the accumulated moisture. After 40 minutes, mix in the vinegar, cover and cook additional 10 minutes. Note: if you want the onions to be darker colored than what is in my accompanying photo, let them cook down longer on the low heat. For us, after one hour, the intoxicating scent throughout the home is just too much to bear, so we gobble them up. Types of sweet onion which have a mild sulfuric, and higher water, content than regular onions are Vidalia from Georgia, Walla Walla from Washington state, Sunbero from Nevada and Maui from the Hawaiian island of Maui; to name a few. Red onions, also called purple onions, are also mild and sweet; their coloring brightens up any dish. One way to use sweet onions is to make a relish which can be spread on toasted bread, used as a condiment on sandwiches, or an enhancement for beef, pork or poultry. In a large skillet, heat oil on medium heat; add onions and celery; sauté until tender. Mix in remaining ingredients; bring to a boil. Reduce heat to low and simmer, uncovered, for 30 minutes, stirring often. Let cool. Spoon into a bowl; cover and chill for 8 hours. Have fun on the onion journey and don’t be ashamed to shed a few tears of joy.